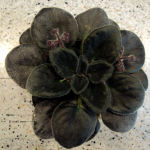 Powdery Mildew is caused by the Oidium fungus and can be eradicated from your African violets in a simple 10 min process. I discovered a few plants that were isolated in the corner of the growing room that had a significant infection. The plant on the left is the chimera Bob’s Monkey Shine that I did not want to lose. 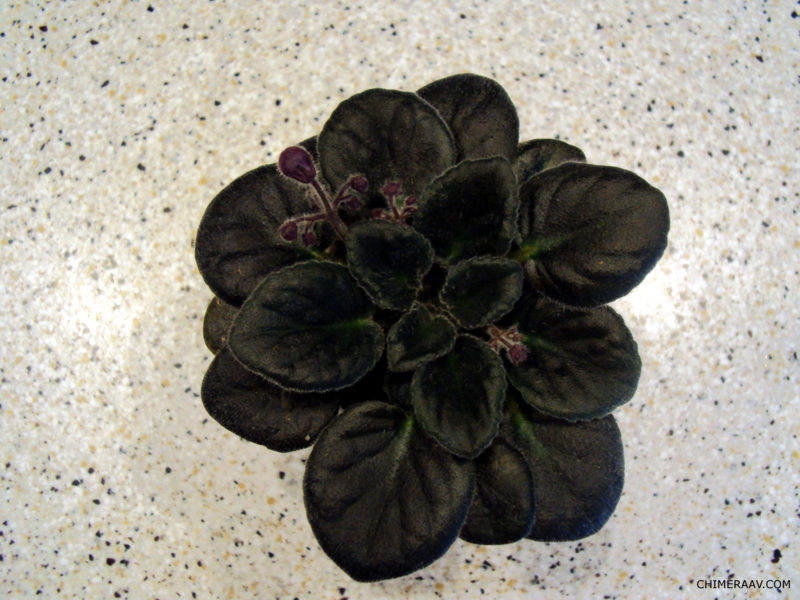 Of all the infestations that can befallen African violets this one gives me the least concern as it can be addressed directly. The plant on the right is the very same plant as on the left but 1 week after treatment. 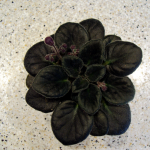 The treatment is safe for the plant and with the exception of losing a flower stalk and 1 leaf as a consequence of my less then gentile handling the plant has not missed a beat in growing. 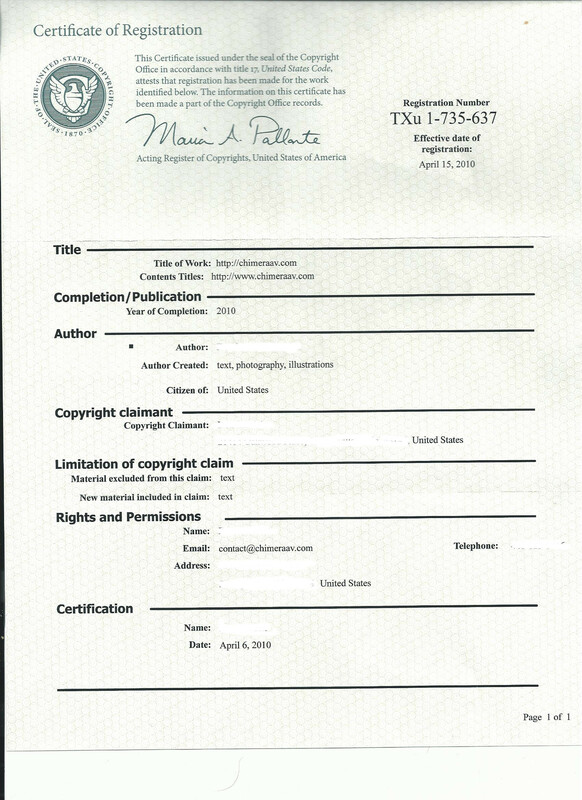 Click on each image to enlarge and inspect. 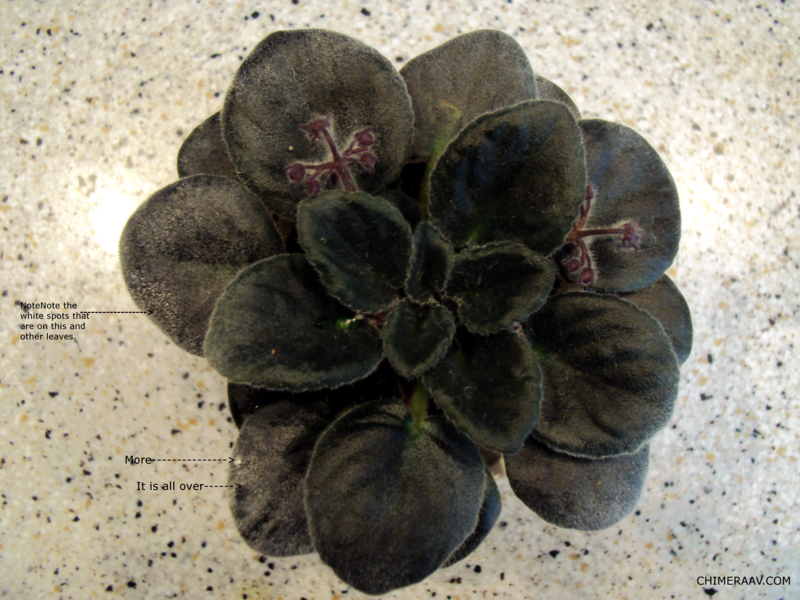 Click here to see how you can eradicate powdery mildew on infected plants in 10 minutes. (May take a full 2 minutes to download (a lot of pictures)). This entry was written by admin, posted on June 1, 2014 at 12:01 am, filed under Fungi, Growing and tagged Fungi, Growing. Bookmark the permalink. Follow any comments here with the RSS feed for this post. Trackbacks are closed, but you can post a comment.